UK mobile carrier Vodafone have started to take pre-orders on the new Samsung Galaxy Note 8 smartphone. The Samsung Galaxy Note 8 is available to pre-order on a range of different plans with the carrier and prices start at £44 a month with £300 up front. 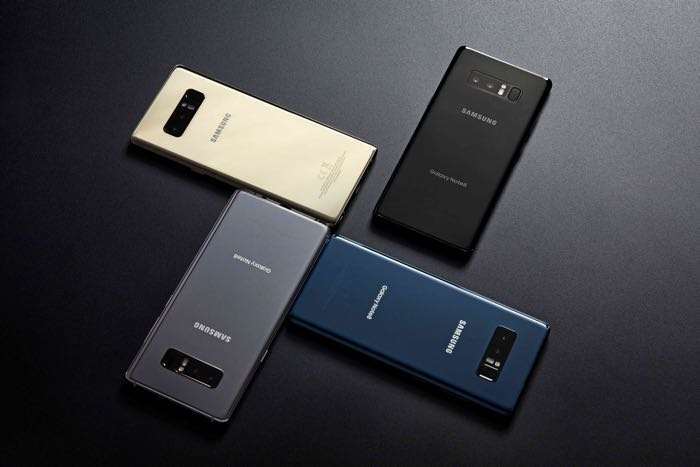 The Samsung Galaxy Note8 can be pre-ordered at £44 per month (£300 upfront cost), which includes 500 minutes, unlimited texts and 500MB of data. Alternatively, customers can choose a Red Entertainment 8GB plan which includes unlimited texts unlimited minutes, 8GB data and a choice of Sky Sports Mobile TV, Spotify Premium or NOW TV for 24 months at £60 per month (£100 upfront cost). Thanks to Vodafone Global Roaming all Vodafone customers can now take their home plan abroad – meaning they can use their UK data, minutes and texts in 50 roam-free destinations at no extra cost! You can find out more details about the new Samsung Galaxy Note 8 over at Vodafone at the link below.